M101 is a large galaxy, with a diameter of 170,000 light-years. By comparison, the Milky Way has a diameter of 100,000 light years. 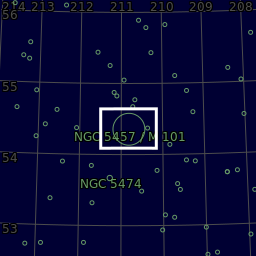 It has around a trillion stars, a little more than twice the number in the Milky Way. It has a disk mass on the order of 100 billion solar masses, along with a small central bulge of about 3 billion solar masses. 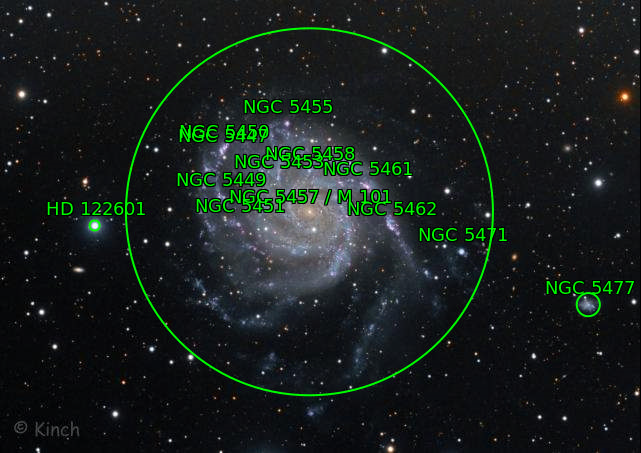 M101 has a high population of H II regions, many of which are very large and bright. H II regions usually accompany the enormous clouds of high density molecular hydrogen gas contracting under their own gravitational force where stars form. H II regions are ionized by large numbers of extremely bright and hot young stars; those in M101 are capable of creating hot super-bubbles. 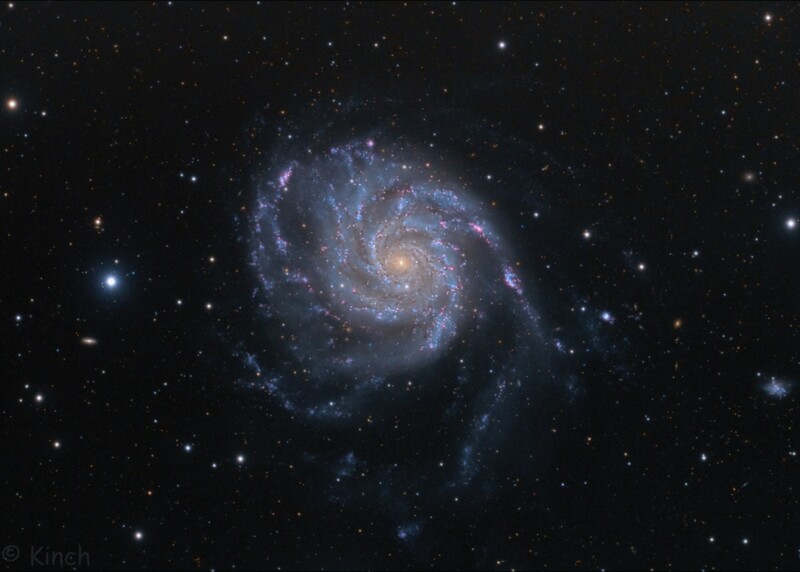 M101 is asymmetrical due to the tidal forces from interactions with its companion galaxies. These gravitational interactions compress interstellar hydrogen gas, which then triggers strong ​star formation activity in M101's spiral arms that can be detected in ultraviolet images. Total integration = 15.5 hours. 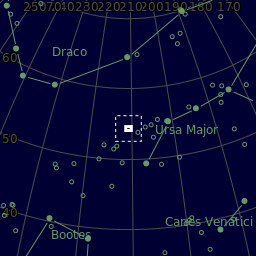 Center (Dec, dms):+54° 22' 00.318"